Hardwood flooring comes in many different hardwoods such as maple, hickory, ash, oak and many other exotic varieties. Known for their easy to clean, high quality look, long-term investment and ageless quality. Hardwood flooring is an ideal choice for homeowners. For the many benefits the flooring includes, a homeowner should be aware of when and why underlayment should be considered. 2.4 Best Underlayment for Hardwood Flooring? The number one answer would be to soundproofing hardwood floors. 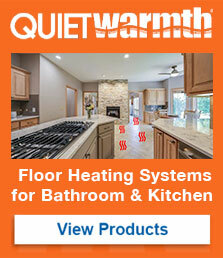 If you are looking to soundproof your hardwood floors, we suggest using our QuietWalk Plus or Insulayment. Sound deadening in mind, our manufacturing patented process combines the fibers tightly together to absorb sound and keep it from traveling to other rooms. Most multi-family or condo owners don’t want to wake up or disturb other neighbors/family members in other rooms. Hardwood isn’t cheap and spending a couple cents more can help support the structure of the floor. No matter what application you use hardwood wood for, wood absorbs moisture from air. Too much moisture and the wood will start to bow and not enough moisture, cracks and separates. Keeping the correct moisture level for your floor helps strength and durability. Using a vapor retarder below your hardwood floor slows down the passage of moisture from reaching. According to NWFA – a vapor retarder is to be used under hardwood flooring. If you have a NWFA installer installing your floor, they will follow their association installation guidelines. No underlayment is stated in their installation guidelines and any underlayment will get rejected of installation. A vapor barrier or moisture barrier is another term that often gets misused with vapor retarder and is completely different. Vapor barrier actually blocks all moisture from transferring. 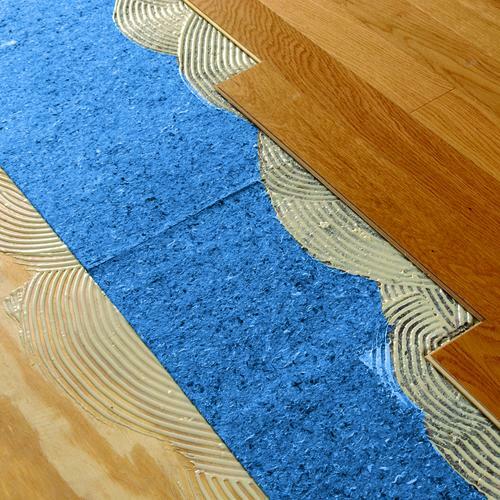 Built-in vapor barrier allows no moisture to get to your hardwood flooring. This can be good and bad in certain situations. Each situation can be different, so please give us a call at (888) 379-9695 and we can help steer you in the right direction. Using felt paper or vapor retarder can sometimes be coated with asphalt or tar, which will emit harsh chemical odors. QuietWalk Plus or Insulayment is backed by GreenGuard Gold certification for indoor air quality. This allows our product to be installed in hospitals or government buildings. Keeping your family safe from harsh odors. Best Underlayment for Hardwood Flooring? If you have any questions, please give us a call at (888) 379-9695 and we can help steer you in the right direction.